Messages Delivered to you Quick! Instead of taking time to email sms your friends, use LINE’s message function to send messages easily with colorful icons, photos and even location information. ·Express yourself using stickers and emoji. 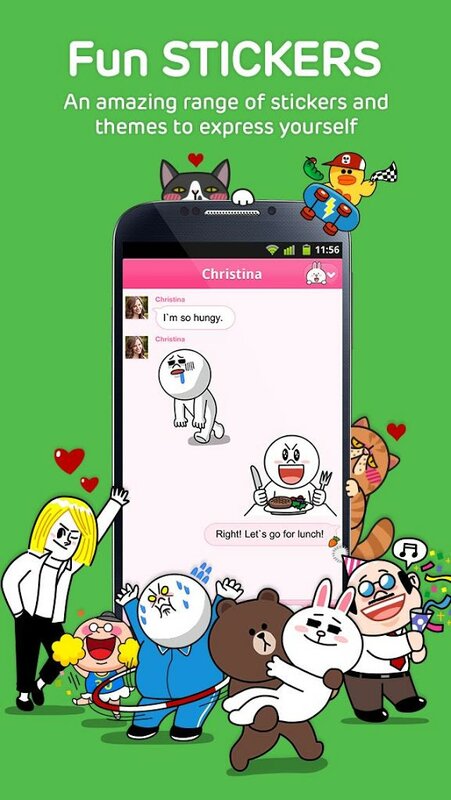 ·Have fun with LINE’s ‘Home’ feature: Share your moments with all your friends using photos, videos, and location info. ·Use ‘Timeline’ to see what your friends have been up to and what they have posted! Leave comments, messages and enjoy your communication.